We know what it’s like to have no time to work out. Try a 10-minute workout — any of these will blast calories and burn fat fast also to tone your abs, legs, triceps, buttocks and increases bone density. 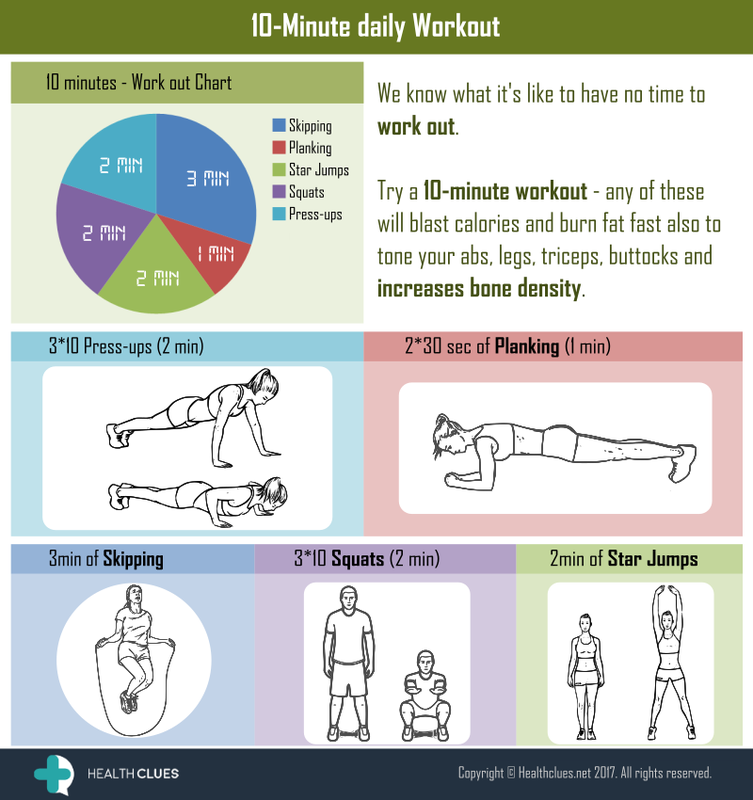 General, Infographics bone health, daily workout, exercises, general health, health, healthy joints, planks, press-ups, push-ups, skipping, squat, star-jump, workouts. permalink.